Memories of those sunny summer days seem so far away when winter arrives. 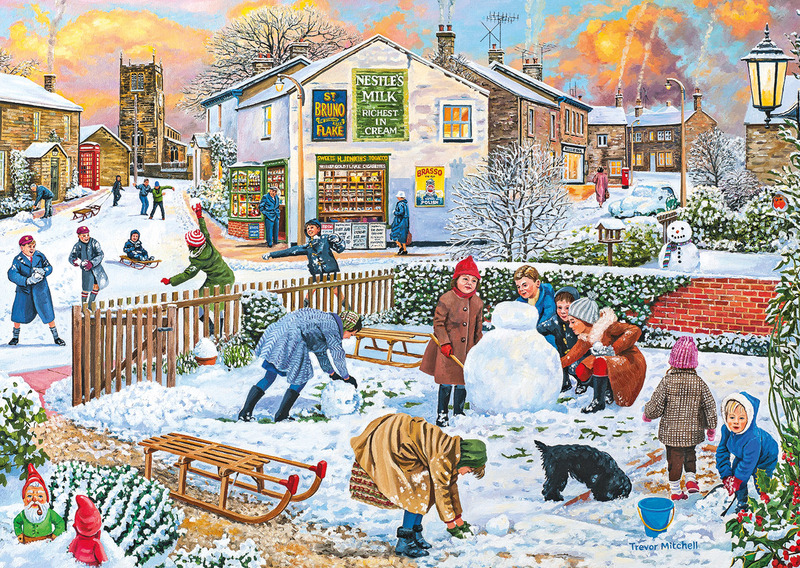 Shorts, bare legs and water pistols are certainly not an option, that’s for sure, and the cricket match has given way to a full-on snowball fight! 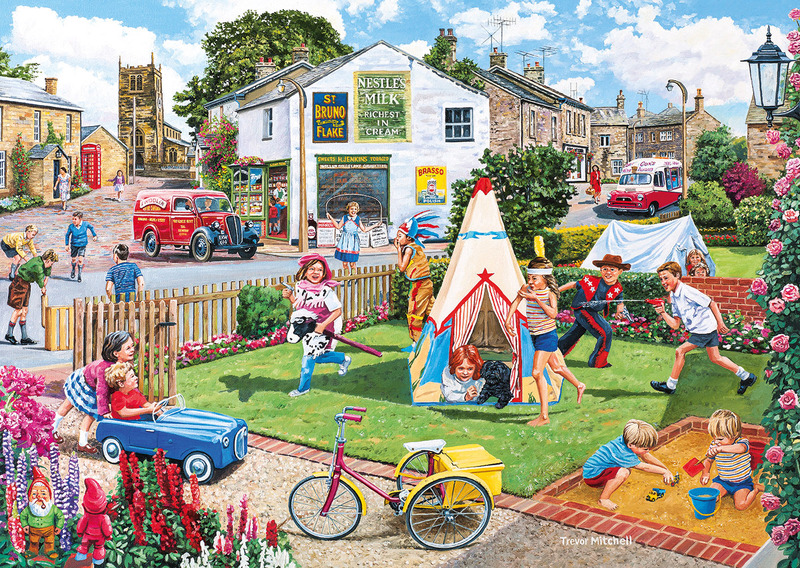 Wigwams and Woolly Hats is a set of two beautiful 500 piece puzzles painted by Trevor Mitchell. 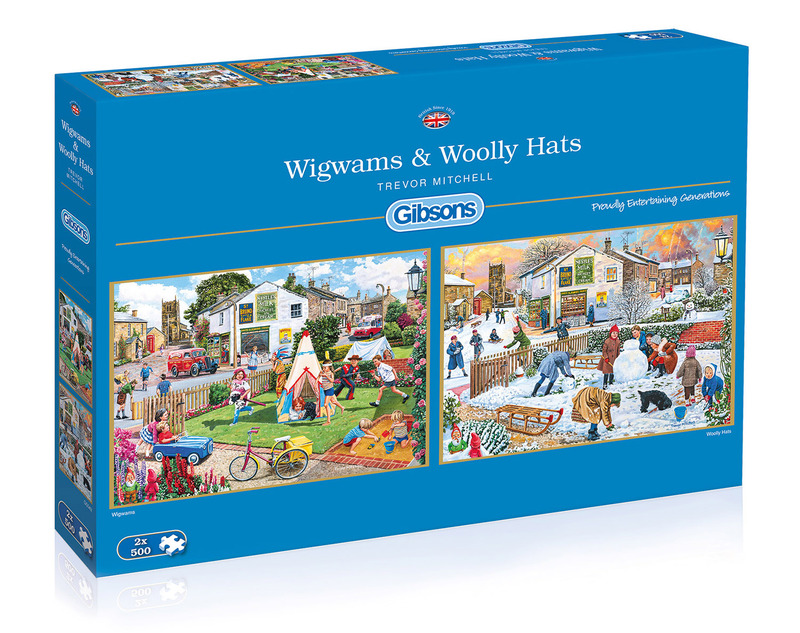 Two high quality 500 piece jigsaw puzzles in one box.